During a spine-chilling season of winters, nothing seems more blissful than coming back to a house that is as warm as you would have anticipated. And, thanks to furnace systems, it has become nothing but easier to keep the house heated during the teeth-chattering cold. However, considering the importance that a furnace plays in your life, especially when you are living in an area that experiences extreme winters, it is quite essential that you understand the knows and hows of buying a furnace. If this is the first time you are going to shop for it, you would have to be extra cautious while making a choice. So, here are top 10 things that you must pay attention to while buying a new furnace for your house. When talking about fuel source , there are several options that can come in front of you. Right from gas to propane heating, electric, and more, there isn’t any dearth of choices. Although location plays an important role here, as it is not always easier to get a connection to these options, there are certain things that you must understand about each and every option as well. If you are considering getting a gas furnace, then it might turn out to be an inexpensive way to keep the house warm. Since they run on natural gas, you wouldn’t have to spend a lot of bucks on maintaining it, which can be an advantage if you don’t have enough budget. 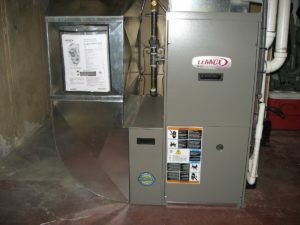 Moving further, if you don’t have a gas pipeline or connection to your house, then you can consider betting on a propane furnace. It runs on oil, so can be a bit expensive as compared to the aforementioned option. Not just that, but it may even require more storage area. So, consider these things before buying. Another choice for you is a furnace powered by electricity. This can be a cost-effective option as it uses less electricity. During the summer, it can even play the role of an air conditioner. So, you would refrain from spending on a new machine. When it comes to pondering upon the system types, then again, you have two options to choose from. There are split systems and packaged systems available out there. Generally, split systems are what play the role of an air conditioner as well as a heater. On the top of the furnace, there are condensing unit, coil, and furnace. However, it requires a lot of space to work properly and if your house doesn’t contain any attics, basement, or a crawl space, then this split system won’t work for you. In such a scenario, you can try your hands on a packaged system. Such systems come in an outdoor unit and comprise both cooling as well as heating components. Not just that, but there are some packaged systems that can be conveniently mounted on the rooftop. Although both the types may work somewhat similar, there is a lot of difference in their mounting aspect. Even if you are currently using a split system and want to free some space in your house, you can choose the packaged system. However, if you are in a dilemma, then an expert would be able to help you out well in this context. Mainly because of the location or construction factors, the speed of getting cold or hot may vary from area to area in your house. If you have a thermostat fixed somewhere nearby, then it is possible that you may experience cold and hot spots everywhere in the house. Or else, it is even possible that you might be using more than required energy to keep the temperature at a particular point. If such is the issue, then a zoning system can be your savior. This type of system can divide your house into zones. Each zone would be having an individual thermostat. Not just that, but duct dampers can even allow or prohibit the access to certain zones to keep the temperature even and to ensure less consumption of energy. Whether you require a zoning system or not mainly depends on the structure and the size of your house. If you have a large house, then a zoning system will eradicate the problem of cold and hot spots. This will not only make it easier for you to roam around in your house but will even make it more comfortable. Regardless of the people residing with you in your house, it is important to pay attention to the quality of air. Since indoor air quality can impact an individual’s health, it should be considered appropriately while buying a furnace. While buying a new furnace, don’t forget to keep an eye on the filters. For better indoor air quality, it should contain HRV’s, dehumidifiers, humidifiers, air filtration systems, and air purification. If you can find such qualities in your furnace, it would be the appropriate one to buy. Also, make sure that you are having the filters serviced regularly and changed yearly to ensure clean air. More so, if you have pets in your house, then it becomes even more important. Moreover, make sure that along with annual maintenance , you are even keeping the ducts cleaned. When it comes to the installation of a furnace, a bit of neglection can lead to severe damages. Therefore, there is no way you can compromise with the quality of installation, even if it is for saving a few bucks. If the furnace has been installed improperly, then it can not only bring performance problems but can even consume more energy, resulting in elevated expenditure. Since furnaces are one of the most complicated machines, don’t expect any other person to come and install it without any hassle. After all, you are investing a good amount in the machine, so obviously, you would want better results out of it. Therefore, you must make sure that you are contacting nobody but a reliable, certified, and an experienced technician to install the furnace appropriately. At the end of the day, you will get nothing but anticipated results. Undoubtedly, it becomes a bit arduous to purchase anything without a proper budget in mind, let alone a furnace. Although a furnace machine may not cost you as much as its installation, still, there are certain factors that you must pay heed to while creating a fine blueprint of the cost associated with it. Generally, the cost of installation depends on the unit size, added fixes, labor cost, features of indoor air quality, etc. Most of the times, people just put the furnace in their houses, without exploring the options that the system provides. It may not only result in the loss of efficiency but can even affect the indoor air quality. Just don’t pay attention to the truthful prices only. Check other factors as well, including incentives, and rebates. Make sure that hiring a reliable contractor for the installation and getting it fixed properly is far important than spending money unwillingly. This is one of the most important factors. You must be aware of the fact whether the furnace that you are purchasing has a reliable warranty or not. Having a warranty on hand can help you save the uncalled expenses in case of a sudden breakdown and problems, regardless of the regular maintenance by an experienced technician. Before paying for the furnace of your selection, don’t forget to cross-check its warranty. Usually, a furnace from a good and reputable company should come with a warranty of at least 10 years. Also, even if the warranty is available, make sure that you get an idea of what is included and what is excluded in the cover to avoid problems in the future. Once you are satisfied with everything, you can go ahead and invest in the machine that you’d have selected from rest of the available options. If latest models can provide you any advantages, then that would be their competency to save up to 40% of energy consumption bill, of course after the amazing features. If you already have a furnace at home and are having second thoughts to upgrade it, then you must consider the effect that your existing machine is providing you. You can even calculate the amount of money you would have to spend on your old machine in the long run. If it is more than expected, then it would be better to replace it once and for all. Not just that, but a furnace with higher-efficiency even work quietly and consume less energy, hence they are apt for the environment as well. So, make sure that you are not letting go of the efficiency factor while buying a furnace as it can make a lot of changes in your wallet. If you aren’t familiar with the fact, then let’s help you gain some knowledge. For certain furnaces, the government has put energy rebates and incentives. Yes, that’s absolutely true. So, you must get in touch with an expert and cross-check whether your selected model comes under any rebates and incentives or not. A good and experienced advisor will not only help you walk through the schemes but will also assist you in understanding the different levels of rebating process. Not just the investment in high-efficiency machines help you save the utility bills, but also provides several other perks subsequently. So, if you can grab any of the available incentive or rebate, you can easily get your wallet refilled again. Therefore, make sure that you don’t miss out on this important knowledge while buying a new furnace. Last but not the least, size does matter while choosing a new furnace for your house. Since you are buying this equipment for an overall comfort during winters, therefore, in pursuit of that, you cannot compromise with the convenience, right? Regardless of the space that you have in your house, if you don’t have enough budget, then there isn’t any need to buy a bigger furnace, only if your needs can be fulfilled with the smaller one. If you really cannot figure out the size of furnace that would fit appropriately in your house, then you can take help from an experienced contractor. The person, by visiting your house, will gauge every factor such as square footage, efficiency, and more. And then, he will recommend you the correct size of the furnace depending on the factors of your house.